A leading supplier of bio-available glucosamine, Newmarket Equine Joint Supplement is an incredibly powerful natural aid in the production and repair of cartilage, joint fluid, tendons and ligaments. Offering the highest concentration of the active ingredient Glucosamine available on the market today, this potent formulation is tailored to the highest quality specifications and is guaranteed by Europe's leading equine forensic laboratory to be 99%+ Glucosamine Hydrochloride purity. This particular supplement supplies the scientifically correct dosage for our horses, promoting joint strength, nourishment and repair. Below are some recent questions we've received regarding Newmarket Equine Joint Supplement for Horses, including answers from our team. 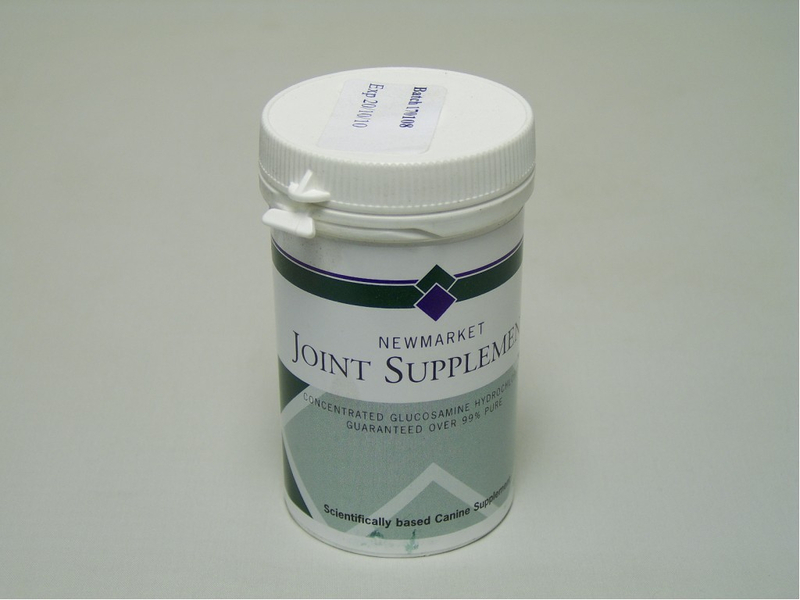 Newmarket Equine Joint Supplement is 99.9% pure Glucosamine HCL only. There are no other fillers or added ingredients. So there is 10g in the 10g daily dose. 100% of the total product. What are exact ingredients in joint supplement please?